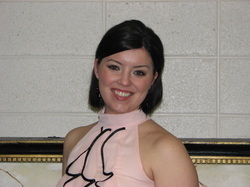 Allison has had an interest in theatre since High School, which led to a minor in theatre in college. Since 2000 Allison has helped as a seamstress, worked the Box Office, worked on programs, served deserts at intermission, been on our play reading committee. Steve has been a board member since 2010 and was elected Secretary at the May 2011 board meeting and President at the June 2012 board meeeting. He has been active in JLT as an actor and volunteer first appearing as Fredrick Fellows in Noise Off in 2009, his first time on stage since high school. He has been actively involved in all aspects of the theatre from acting to painting sets and being stage manager to volunteering at Airfest and other fundraisers. Steve would like to thank his wife Judy for all her support and understanding as well as thank her for her volunteer work for the theatre. Steve would also like to thank all of our patrons,supporters, advertisers, and ticket holders for their support of JLT. Jim became interested in theatre Junior High School performing the lead in "Marty". 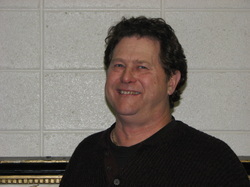 He worked with the Beloit Civic Theatre on a couple plays before becomming involved with JLT in "The Boys Next Door". Jim also works backstage doing props and onstage acting. Jim is a copywriter for WCLO/WJVL. He thanks his wife, Wendy for her continued support... and YOU for attending JLT performances. Megan is delighted to return to the stage for the first time in six years in this, her Janesville Little Theatre debut. She last appeared as Ophelia Ashbeck in Andy Pech’s hysterical dark comedy “Disturbed” as part of the Central Wisconsin Playwright’s Showcase. No stranger to the stage, Megan has been a lover of the arts from the age of three, when she insisted on taking ballet lessons (some learn to connive at an early age). She studied ballet for 13 years and worked as a choreographer with the Madison Creative Arts Program and other theatrical groups in the Madison area for many years. She has studied and performed with Children’s Theater of Madison, The Madison Ballet, Middleton Player’s Theatre, Performing Arts for Children, Memorial Theatre Company, West Side Performing Arts and The Madison Creative Arts Program. From a variety of credits, favorite roles include Tansy McGinnis in “The Nerd,” Sheila in “The Boys Next Door,” Polly Baker in “Crazy for You”, Anita in “West Side Story,” Jan in “Grease” and Ann Reilly in “42nd Street.” Megan has dappled briefly in film, with appearances in Likely Productions’ “The Path to Come,” No-H Productions’ musical short “Forty-Two Guys in Suits” and Gabriel Range’s controversial political thriller, “Death of a President.” Megan has degrees in Business Administration and Marketing. She spends her days focusing on her “main role” as a Web Copywriter and enjoys painting, writing and (like Arlene) dreaming of world travel. Megan would like to extend heartfelt thanks to everyone at Janesville Little Theatre for so warmly welcoming her into this artistic community. Additional gratitude to her girlfriends and family for the laughter and un-wavering encouragement, special thanks to the lovely “J no G” for noon-hour script work, a brief nod to the exes she outgrew for the character inspiration and big hugs to her “hubby” and “lover”…boys, it’s been a blast! Megan dedicates this performance to those who, without reservation, listen to their hearts. Life may be “so complicated for those of us who think…” but it’s a beautiful mess! Enjoy the show; laugh ‘til your sides ache. 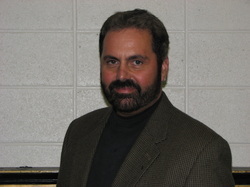 Michael Mugnani, Mitchell Lovell, D.D.S. After a hiatus from the stage of over a decade, Michael is thoroughly excited by the opportunity to return to theater this spring in the meaty role of Dr. Mitchell Lovell, DDS, for the Janesville Little Theatre production of “Murder at the Howard Johnson’s.” Michael’s previous performances include the lead roll of Cleveland radio “shock-jock” Barry Champlain in Eric Bogosian’s “Talk Radio,” several monologue set pieces, the sinister mortician in a Historical Society period murder-mystery fund raiser, a handful of cable TV commercials, and decades of professional presentations and training seminars, including co-presenting a three-day street survival seminar across the US and Canada in the mid-1990s. Michael is a psychology major with a strong interests in evolutionary psychology and mythology. He is a film fanatic (“movies are the shared myths of our age”), and a real animal behavior buff who thoroughly enjoys interacting and connecting through training and games with his Quarter Horse and Blue Heeler canine-American friends. Accordingly, he assures you wholeheartedly that no animal will was harmed (“unnecessarily”) in this production! As Dr. Mitchell Lovell, DDS, he encourages you to leave your inhibitions at the door, to “think positive,” to “trust him” (after all, Michael spent nearly 30 years “with the government”! ), and to not forget Voltaire’s comment–“God is a comedian playing to an audience too afraid to laugh”–as you enjoy our presentation of “Murder at the Howard Johnson’s”! Who knows…perhaps, if you look closely and honestly enough, you might even see a just a little of yourself and your friends in the shifting nature of our characters’ lives and relationships! Thank you for attending the show, your support of Janesville Little Theatre makes this possible. I’ve been with the Janesville Little Theatre for just over a year now and have had a wonderful time. This is my fourth play, having played the part of Tim Allgood in “Noises Off”, the Cab Driver in “Harvey” and William Ross in ”The Patient”. Thanks to my wife Maureen and my family and friends for their support. Chuck is a veteran of the JLT stage of over 40 Years. He made his stage debut for JLT in Inherit The Wind, at age 12. Chuck has been in dozens of JLT plays, most notably The Odd Couple and JLT's first production of Murder at the Howard Johnson's. He has also been heavily involved backstage for many years. Chuck is making his directorial debut with Murder at the Howard Johnson's. Chuck is the son of long-time JLT director Charles P. Niles who directed JLT's first production of Murder at the Howard Johnson's with Chuck playing the part of Mitchell Lovell, D.D.S. 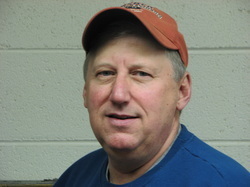 Chuck is retired from General Motors and teaches motorcycle safety for Madison Area Technical college. He lives in Janesville with his wife Heather and enjoys spending time with this three grandchildren.